Technologically pushes humans to stand out from the crowd and differentiate ourselves from the others. A website is essential to differentiate your small project or business from others. And building a website doesn’t have to be expensive or difficult nowadays. In the early days, there has some interruption but fortunately, technology geeks now sharing many services or tools you have to take the best option which perfectly suits you, inevitably means choose between a template or a website builder. Website Builders and Templates both are very helpful in the sense of creating a website and both are very effective with relative ease approaches that enable you to build out your website. However, the truth is that both have very different solutions and used for in different circumstances. 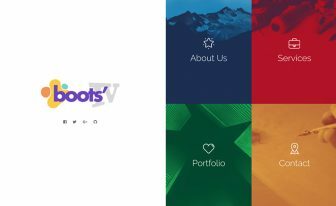 Let’s brief a short note about what are these and what solution these tools fetch for you, before a jump to the difference of website builders and templates. Usually, website templates are a collection of HTML pages and CSS stylesheets, where HTML tags are designed using the property of stylesheets. Some templates include JS scripts also to animate HTML tags and define some extra rules. 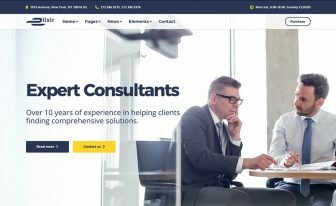 While using an HTML template you can edit the content of the pages such as changing out the logo and images, update page information, switch out some of the colors. But the difficulty is a web template bring you a pre-built layout and design, so you will face some bindings if you need to change the layout or some part of the design. You must have a basic knowledge of coding to do that. On the other hand, a website builder is typically a drag and drop website builder comes with some pre-built components that let you build a website easily without any knowledge of coding. You can handle the web design using the drag and drop interface and different website elements until your site is complete which doesn’t require direct manipulation of HTML and CSS files. Which One will be Best for Me? It totally depends on your expectation. You should have a solid understanding of which kinds of websites you are going to build. Here we have summed up some keynote, that helps you make a better decision. If you simply need a website which doesn’t need a regular update or any modification of the layout and designs then you may go for a web template Otherwise, a website builder is a choice for you. 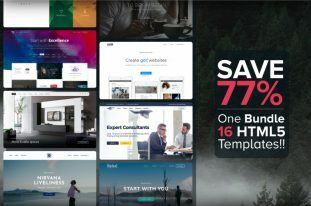 Website builder comes with a huge collection of templates to choose from, let you the option to modify the layout, update content, and publish. Within a few hours, you can build a website with your own customized design and features. The most important thing is a website builder needs a monthly subscription fee which is near about $9/month and sometimes more. Though some of them provide free services also, with fewer features and you may not satisfy. On the other hand, a web template needs a lifetime license fee that is varied in between $15 – $40. There are currently a large number of website builders available on the internet. And you may not sure which one is the right for you. In fact, finding the best website builder from so many website builders out there can be tricky for beginners. Now we’ll go over the pros and cons of the most popular website builders that help you choose the best one. Wix is a cloud-based website builder first developed and popularized in 2010 by an Israeli company also named Wix. With the combination of easy interface and a powerful set of features, Wix becomes one of the most popular website builders in the world. Wix has around 500 pre-built templates. It includes ADI (Artificial Design Intelligence) to support you as fast as you need. Wix comes with advanced SEO options to get ranking quickly. You can use the free version also but it has a lot of advertising. If you want to add an email account, it will cost an extra $5. Weebly is specially built in mind for e-commerce, creative entrepreneurs, and small business owners. It is easy to use, and less expensive compared to Wix. Weebly has more than 50 million customers around the world and thus became one of the best website builders. Weebly is cheap enough to bears. You will get a free domain with the paid plans of Weebly. It also offers free email. You will face limitation with Weebly because it comes with around 80 themes only. Site Builder is a modern website builder has come with tons of great designs to choose from. If you buy a paid plan from SiteBuilder, you will get a FREE domain and one email account included with it. There have huge templates ready to choose from, almost 1,200 are available. SiteBuilder has the functionality to “Save History” that helps you in control version. It took almost 3 hours to activate an account, quite long! Squarespace brings something unique element than other website builders. 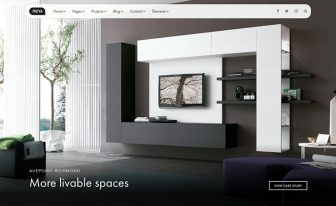 It is a cloud-based popular website builder, ease of use and great for designs. Squarespace provides a free domain name including WhoisGuard protection. You can create a blog or eCommerce site whatever you want, there have no limitations. Squarespace doesn’t provide any free plans. It will cost an extra $5/month for an email account. 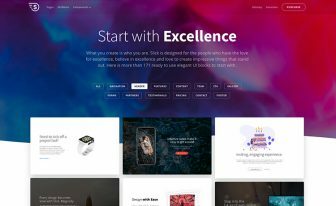 Elementor is a drag-and-drop page builder available as a standalone WordPress plugin both in free and premium version. Elementor is highly responsive, with this plugin you can adjust your web page separately for various devices such as desktop, tablet, and mobile. It has the ability of real-time preview, so you can see what you edit. The core product is 100% free. It comes with an impressive range of features. The most awesome features are not available with the free version. Elementor provides service yearly basis, so there is no lifetime update opportunity.